BEIJING, Jan. 31 (Xinhua) -- Chinese Vice Premier Han Zheng on Thursday called for more efforts to realize high-quality development of the Belt and Road Initiative (BRI). 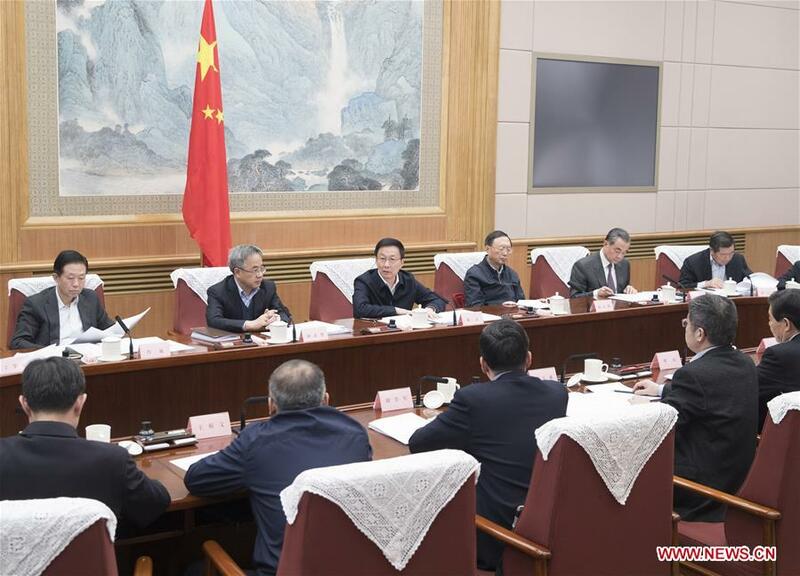 Han, also a member of the Standing Committee of the Political Bureau of the Communist Party of China (CPC) Central Committee and head of the leading group on advancing BRI development, made the remarks when presiding over a meeting of the leading group at which participants studied relevant remarks and instructions of Xi Jinping, general secretary of the CPC Central Committee. The BRI, proposed by Xi, boosted China's opening-up to a new level and reflected the great advantages of China's development path, Han said, calling for efforts to well implement Xi's address at a symposium marking the fifth anniversary on advancing the BRI. Han underlined the importance of the "bottom-line mentality" and urged to strengthen forecast and judgement in order to cope with challenges brought by a changing external environment. Coordinated efforts should also be made to prepare for the Second Belt and Road Forum for International Cooperation to increase the global appeal of the BRI, he said.